October 13, 2014, New York – Fashion One, the premier international fashion, entertainment and lifestyle television broadcaster, and Marie Claire, the most stylish fashion magazine in Belgium, announce the collaboration to showcase a new generation of designers coming from the best fashion schools in the region during MIPCOM 2014. Only one newbie designer will be chosen as The Best Fashion Student of Belgium and receive recognition at the "Prix d’excellence de la Mode ". Belgian fashion is known for avant-garde couture made by its young trendsetting designers whose creations are highly respected on the international market. Ever since “The Antwerp Six” laid down the foundations for the country’s vibrant fashion culture, several noted designers have emerged from this humble place putting Belgium on the world map. Who will be the next to follow in their footsteps? The Best Fashion Student of Belgium will showcase the collections of the upcoming fashion students from three renowned Belgian fashion schools - La Cambre in Brussels, Antwerp Fashion Academy in Antwerpen, and SASK in Sint Niklaas – in three runway events. A jury of specialists, including the project manager of Flemish Fashion Institute, Jasmijn Verlinden, chief editor of Marie Claire Belgium, Ruth Goossens and designer Tom Van Der Borght will have the daunting task to select the most talented designer from each school that will compete for the title The Best Fashion Student of Belgium. The grand winner will be announced at Marie Claire's main event of the year, the "Prix d’excellence de la Mode," this October. Fashion One will be there to get the exclusive behind the scenes interviews with the design students and record the hectic moments just before the shows, as well as the energy, the stress, the relief of the young creators as they present their creations to the public in the hopes of becoming The Best Fashion Student of Belgium. “Marie Claire Belgium has a strong tradition in promoting Belgian fashion talent. We think it's important to follow the youngsters in the many respected Belgian Fashion schools, in order to support them and be secured of ever new and growing fashion talent in Belgium,” expresses Ruth Goossens, Editor in Chief of Marie Claire Belgium.“This is part of the network’s investment in developing the industry through localization of our programs in line with the highest international standards." 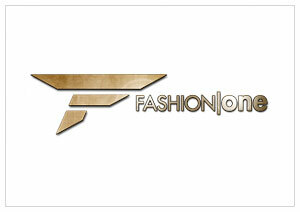 Get updates on The Best Fashion Student of Belgium 2014 by following Fashion One on twitter @fashionone and “Like” us on Facebook www.facebook.com/fashionone. The Best Fashion Student of Belgium 2014 is going to be a part of Fashion One’s original programming, created by executive producers, Michael Gleissner and Ashley Jordan, with Koen Van Sande as the series producer.